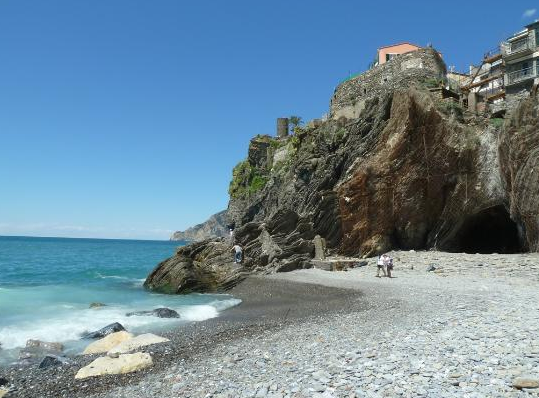 Cinque Terre features crystal clear water and spectacular rocky cliffs, together with sand beaches, pebble beaches and rocks. Every taste for sea is covered : from the lazy afternoons on the beach with umbrella and chair, to the adventure of a open waters hard swimming. 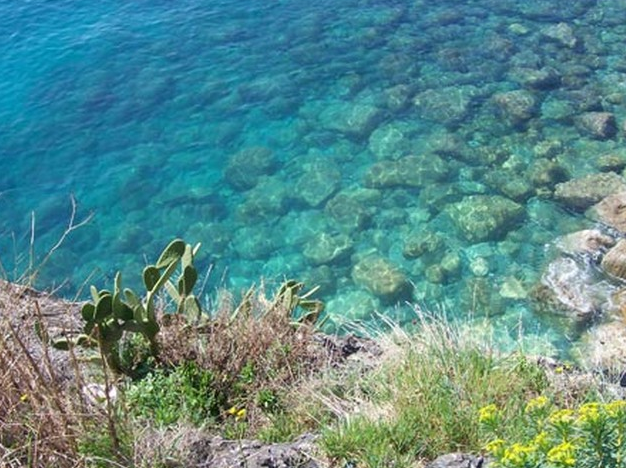 The Cinque Terre marine area is protected by law : since we are a National Park, the waters in front of our coasts are closed and protected from the marine traffic, letting our visitors enjoy the experience of the most unadulterated and crystal clean waters. 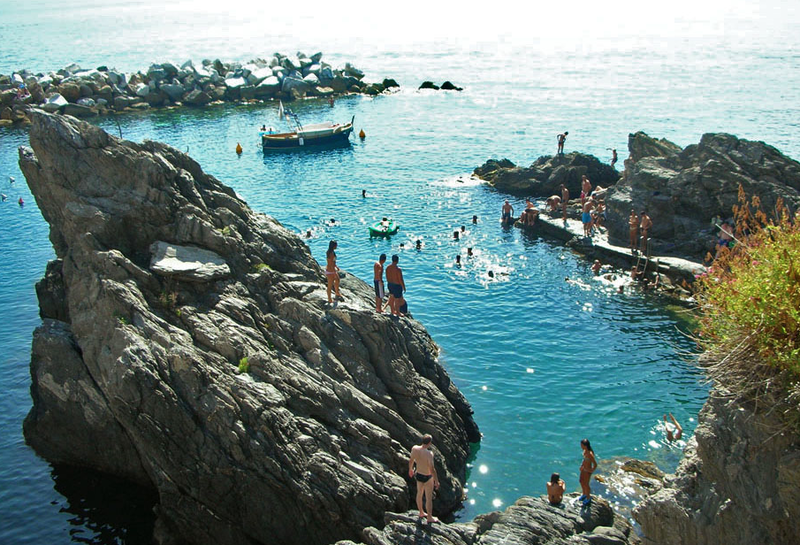 All the Cinque Terre coast is made of rock : this due to the particular environment of the region, that is vertical and made by mountains getting into the sea. 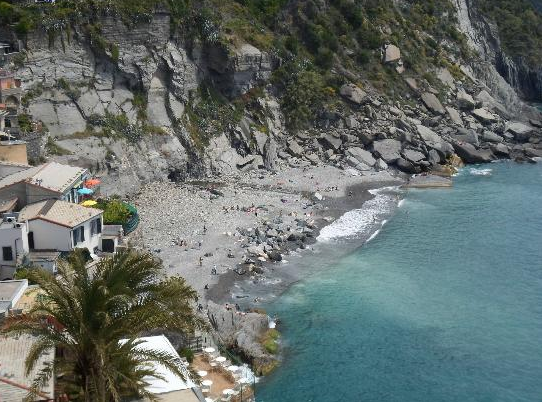 Vernazza have two beaches : one right in the middle of the main plaza, surrounded by the Church and the hills. The other one (the "ancient one" as we call it) is located in the middle of the town, accessible by a tiny rocky tunnel. Once in the beach, you'll be in the middle of the sea, only surrounded by rocks and by the high Castle rocky cliff. 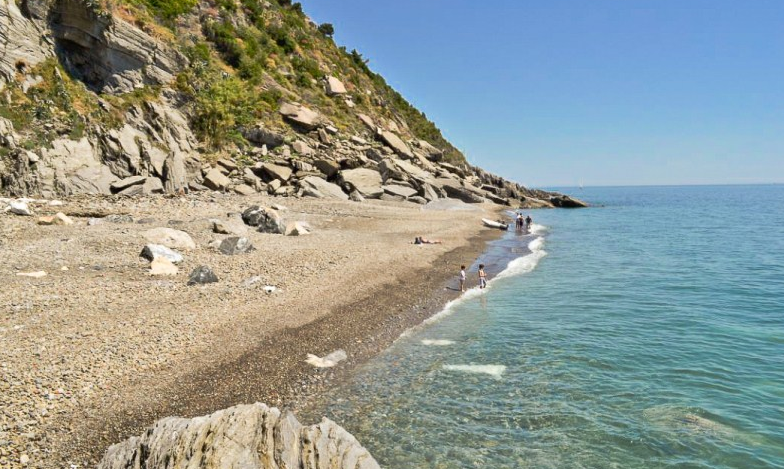 You'll have the impression to be in the middle of nowhere since this beach is completely separated by the town from the rock, while it is located in the exact center of the town at 5 meters from the central Via Roma. The pictures above show the "ancient" beach, while this one in the right show the central beach. 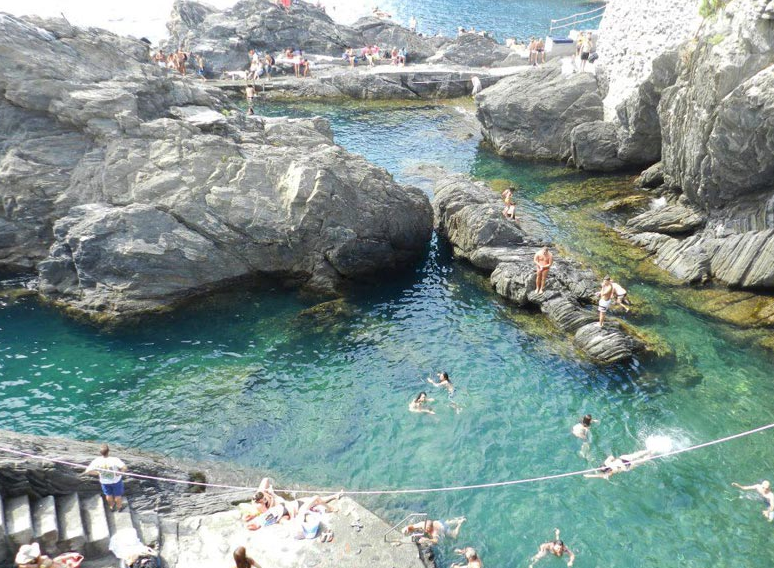 Manarola is the closest thing to a natural swimming pool. This means that you'll have a special place in which you can swim and snorkel in the safeness guaranteed by rocks all around the sea. Moreover, there's plenty of rocks from which you can dip, being anyway careful!